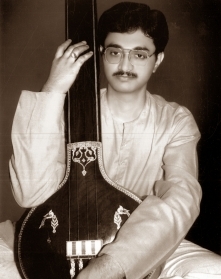 Born on the 24th of July 1967, Tushar was initiated into music since childhood by his illustrious grand father, Padma Bhushan Pt Krishnarao Shankar Pandit – the doyen of Gwalior Gharana, and his father Pt L K Pandit. scholarship from the Ministry of Human Resources and Development, Department of Culture. He was a senior fellow of University Grants Commission and was conferred with the title ‘Sur Mani’ by Sur Singar Samsad, Mumbai. He was a regular artist for All India Radio and Television. Tushar’s style of singing was unique. His voice could easily traverse three octaves with ease. Besides Khayal, he was also at ease in Tarana, Tappa, Thumri styles of singing, and devotional melodies. A first class student throughout, Tushar was pursuing a Ph.D in Music. He was blossoming into a fine artist when his brilliant career was cut short by an unfortunate road accident on 1st September, 1994 in New Delhi. 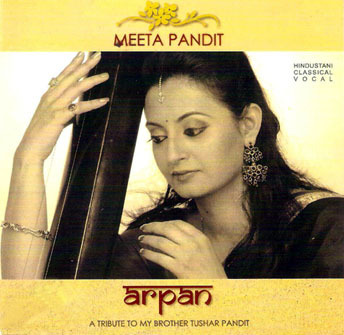 In 2009, Meeta released an album as a tribute to Tushar titled, ARPAN – A TRIBUTE TO MY BROTHER TUSHAR PANDIT.